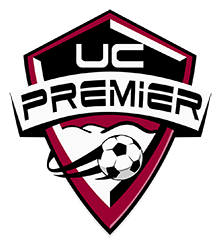 The UC Premier competitive program objective is to provide progressive training for those soccer players that aspire to play at the highest level of soccer competition. Our primary focus is the development of players, and we encourage our players to be pro active in their own development, by establishing personal goals and executing the appropriate steps to achieve those goals. In this regard, we offer specific training and supplemental skills training for individual field players on a regular basis. Players who strive to be considered an “impact player” on their junior high, high school, and college teams can achieve these ambitions through participation in our intense high quality soccer training program. Representing UC Premier as a player and family is a great experience, which creates a lifetime of wonderful memories. Our club size allows for the players to not be perceived as just another number; rather, players are a member of a community of soccer families. We invite you to experience our Premier soccer program. UC Premier is governed by volunteer members and we take a personal interest in ensuring the players receive the best coaching and training at the best value. The competitive program fees are substantially lower than those of comparable clubs. Dependent on the quantity and quality of players attending tryouts, the program can offer up to two teams per age/gender group. Each season’s competitive program fees are set via a yearly budget process and cover the many expenses required in providing a premier soccer program – these include player registration, player insurance, field rentals for practices and matches, referee fees, equipment purchases, additional training for coaches and players, scholarships for qualified players and the cost of UC Premier Staff Directors. Aside from quality coaches, our players and families enjoy first-rate facilities. Teams practice and play on natural grass fields owned by the New Haven Unified School District and the City of Union City. Program play is year-round and during the winter months when grass fields are closed, practices and matches are move to the lighted turf fields at Shorty Garcia Park. Few other clubs have access to the quality of fields we enjoy. As a member of UC Premier, families are expected to make a strong commitment to our program. The success of our teams and players is the direct result of the dedication of the players and their parents, the quality of the UC Premier coaching staff and overall commitment by UC Premier to long-term development of the individual player. Our organization is run by volunteers, and families are expected to assume volunteer roles within their team or within UC Premier. UC Premier is governed by an elected volunteer board. Board meetings are held the 2nd Thursday of each month, starting at 8 p.m., at Guy Emanuel School. Guests are welcome; please let the President or Secretary know in advance if you would like something placed on the agenda. Here is are some comments from our parent members that exemplify the UC Premier coaching advantage….